National Pipe Hanger Corporation is a nationally known pipe hanger manufacturer located in Mt. Holly, NJ, and Upper Marlboro, MD. We have been dealing with Value Engineered Products for the past 18 years. The reason for doing business with a company such as VEP is because of excellent service, knowledgeable staff, prompt deliveries, and ease of doing business. Their company and the entire staff is dedicated to customer service and a quality product. It is a pleasure doing business with VEP, and I recommend them highly. Carpenter and Paterson has worked with Value Engineered Products for many years in providing insulated supports to customers in a variety of industries. When we first became involved in insulated supports it was like walking into the dark! We contacted Value Engineered Products and found a helping hand. 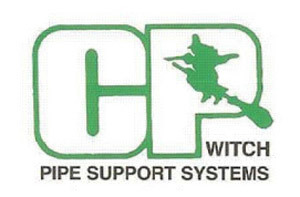 We value our reputation of supplying top of the line pipe supports with excellent workmanship. We all know we are not the only team in the game and the only way we continue to operate is to expect excellence from ourselves for our customers. Value Engineered Products has supplied us with top of the line material to compliment our supports; in doing so we have had our customers return for their insulated support needs. We have had a great rapport with Value Engineered Products and are always able to count on their expertise in the insulation field. Thanks, as always, for your assistance and quality material! As a customer of Value Engineered Products for the last 17 years, we have been very pleased with the quality of their products along with cooperation and completion of each order. Having them in Denver has proven to serve us perfectly for the Northern Colorado and Wyoming market that we serve. We hope to continue this relationship for many years to come.